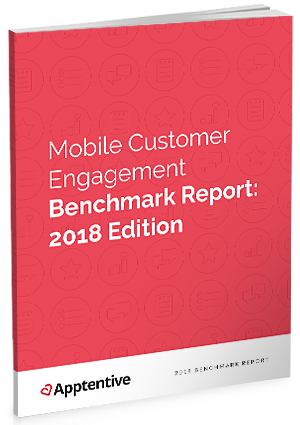 The 2018 Mobile Customer Engagement Report presents a comprehensive look at how customer-centricity has become a requirement for the survival of brands across all industries. We analyzed thousands of unique apps to help you understand how your mobile experience stacks up against the entire mobile ecosystem. Average percentage of app customers who companies interact with, and the percentage of those customers who respond to the interactions sent. Average volume and distribution of app store ratings and reviews. Average response rate to in-app surveys, and the average Net Promoter Score (NPS) score per NPS survey.